The Flash Season 3: The all-new upcoming episode 21 is entitled ‘Causes and Effects’ and will air next week. 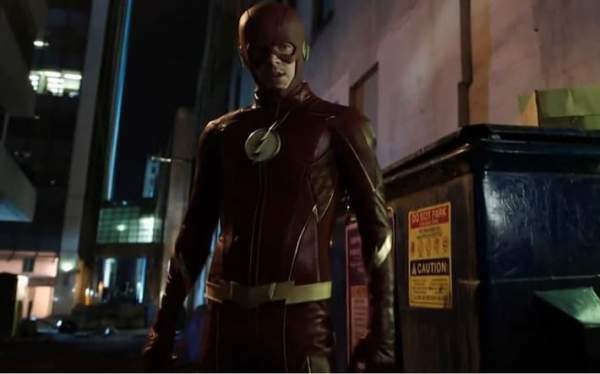 Barry will be getting impatient to stop the main villain of this installment – Savitar. In ep20, he learned who Savitar is and found the scientist Tracy Brand, who set the trap to capture Savitar in the future. The future Flash gave the present one some sort of pen drive which will help Brand prepare the Savitar’s trap. She is the only one who can do it. The whole team is trying hard to connect all the dots and defeat him sooner than later. So, the upcoming episode will be kind of hype session to take her to the most suitable place where she can build the tech to beat the big bad. The proposal by Frost may help to distinguish Killer Frost from Caitlin Snow in a better way. It’s because it will tell us that if there is any Snow left there inside Frost. It will help the team as they will get to know if she needs to be captured or helped. It’s because you can’t let anyone out there to destroy everything. So, we may see the team taking some difficult decisions. Only three more episodes are left in this season. So, whatever has to be done, needs to be done real quick. If they fail, Barry’s ladylove will end dead and that won’t be a good ending. The Flash season 3 episode 21 will air on May 9, 2017, at 8 pm ET on the CW. Stay tuned to TheReporterTimes for latest Flash spoilers and other tv series’ news.